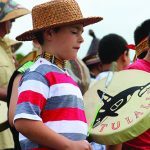 Tulalip Tribal members, dressed in traditional Coast Salish regalia, gathered at the longhouse overlooking Tulalip Bay on Saturday June 17, to welcome the return of the first king salmon to the community. 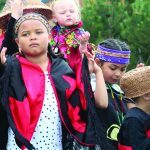 The ceremony had an incredible turnout as hundreds of tribal members were in attendance, both performing and witnessing the ceremony. 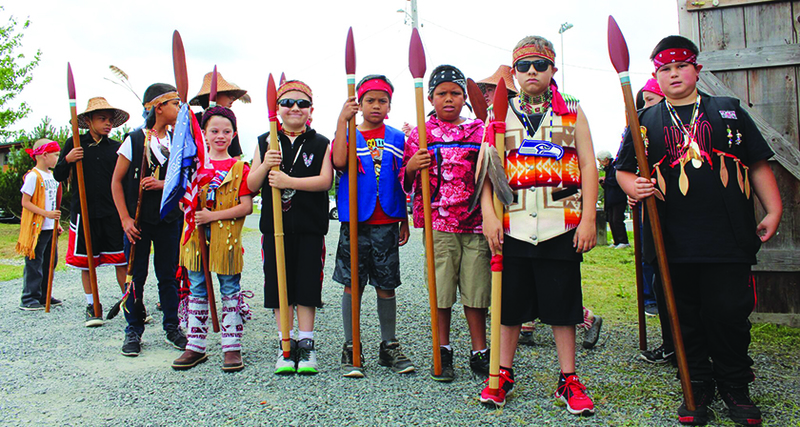 Tribal members from other nations also traveled to observe the ceremony including Natives from Nez Pierce, Colville, Lummi, Nuu-chah-nulth, Spokane and Yakima. 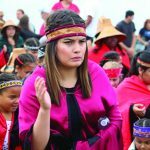 Often referred to as the visitor, the first salmon of the fishing season is honored with a blessing by means of traditional song and dance. 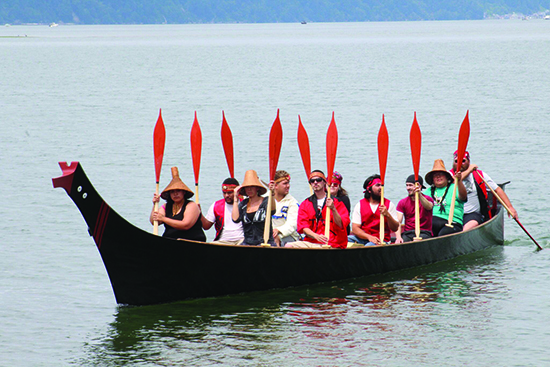 The visitor is brought ashore in a traditional canoe as the Tribe offers a welcoming song. 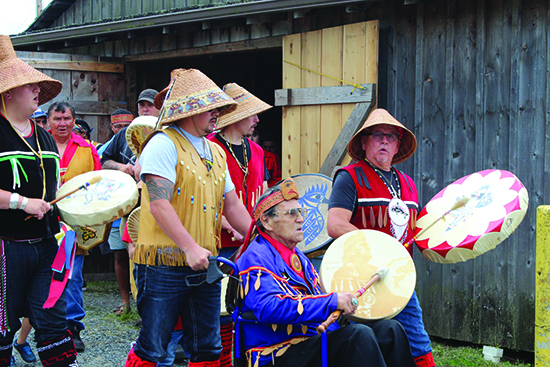 Tribal members continue to sing as the visitor is transported to the longhouse, on a bed of cedar branches, where the festivities continue including a blessing for the tribal fisherman, to ensure safety and a good season. 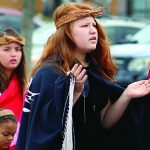 The ceremony moves to the Don Hatch Youth Center, where a feast takes place. 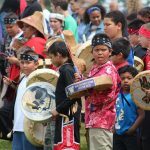 Once the feast concludes, the visitor’s remains are sent to the water, on the bed of branches, to return to its community to tell the salmon people of Tulalip’s hospitality. 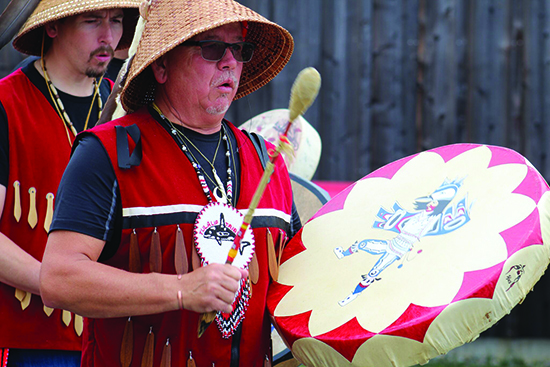 Many salmon will then navigate to Tulalip’s waters throughout the season, because of the honor and respect shown to the visitor during the ceremony. 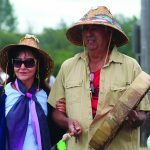 This year Tulalip honored ceremony leader, Glen Gobin, with a paddle for all of his hard work throughout the years. 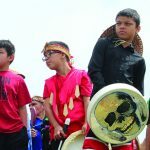 During the ceremony Glen spoke to the youth of the community about the importance of carrying on traditions and protecting the environment for future generations. 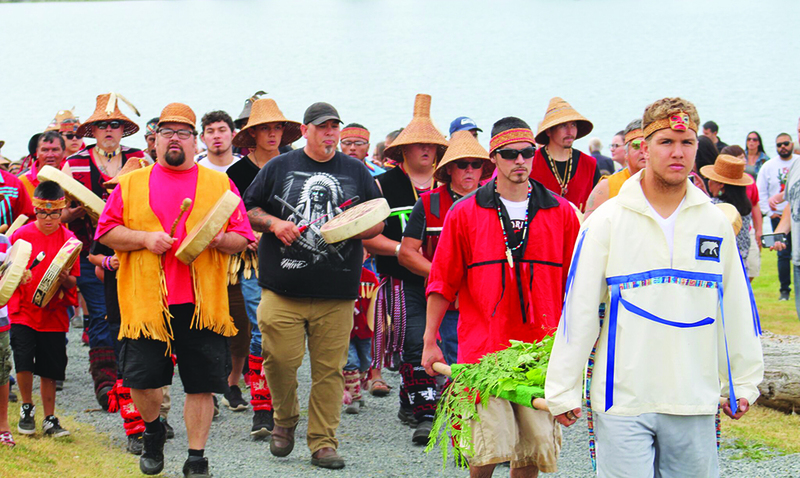 He also spoke about the revival of the Salmon Ceremony after the assimilation era. 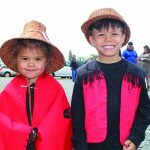 “Through the boarding school years after the treaty, many things were lost. 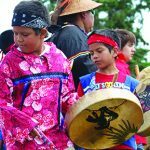 When the boarding schools came in, the people were prevented from speaking the language or practicing our culture and traditions,” explained Glen. 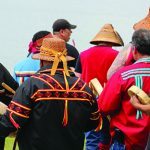 “What’s left is from a handful of elders who kind of went underground, practicing in their own different ways, keeping it alive until it was the time to bring it back out. 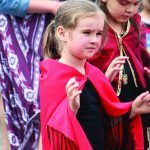 We may not do it exactly how it was done 200 years ago, but we do it the best we can with what we have left. 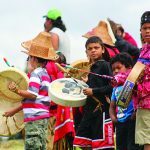 If we do that with pure intentions, the real intent to believe in what we are doing, then the elders on the other side will respect that and take it as such. 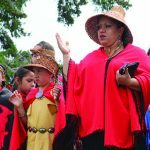 This entry was posted in News, Top Story, Tulalip News and tagged Salmon Ceremony, Tulalip Tribes by Kim Kalliber. Bookmark the permalink.